Ultupharma AB was founded in 2015 as a collaboration with researchers at the Swedish University of Agricultural Sciences (SLU) with the goal to find new antibiotics in nature. The work is carried out at SLU, by collaborating university groups and by contract laboratories, in several countries. Ultupharma has the goal to identify antibiotics with new mechanisms of action using microorganisms as sources to new metabolites. New microorganisms and new methods of cultivation at SLU have been found to produce many new metabolites with selective anti-bacterial and anti-fungal effects. 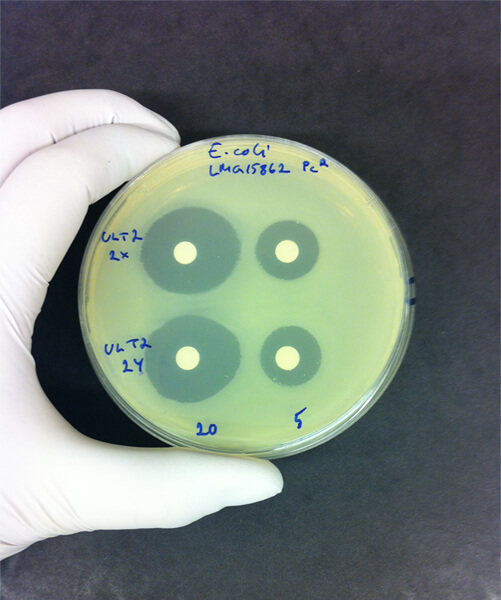 Several compounds are being further evaluated as potential new antibiotics active against bacteria resistant to present antibiotics. In September 2016 all 193 United Nation members agreed that antibiotic resistance was the biggest threat to modern medicine. Drug- resistant bacteria are now estimated to kill more than 700,000 people each year. Europe and USA each has a death toll of at least 25,000 people due to resistant bacteria. These figures are rapidly increasing and the World Bank has estimated that without new antibiotics global economic growth will decrease by 1.1- 3.8% and might put 28 million people in poverty in 2050. 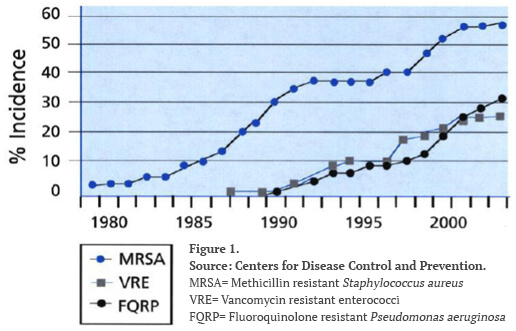 The scaring increase in resistance is exemplified in Figure 1. Antibiotic resistance is a particularly serious problem for patients whose immune system is compromised. The alarmingly decreasing number of approved antibiotics is shown in Figure 2. The five approved in 2013-2016 consist of four with old types of mechanism and one beta-lactamase inhibitor, but none with a new mechanism of action. The Infectious Diseases Society of America (IDSA) in 2010 reported to President Obama that 10 new antibiotics with new mechanisms of action were needed before 2020, that not more than 100 patients should be required in Phase 3 for registration and that 50,000 USD for a 10 day treatment should be acceptable. The pipeline of new drugs is still dry and 10 new drugs by 2020 is wishful thinking. The O´Neil report suggested large financial rewards, 1 billion USD, for each registered antibiotic with new mechanism of action. Financial Times suggested to increase the rewards to 3.5 billion USD, but politicians have not yet come to decisions. However, time is running short and the rapidly increasing need for new antibiotics makes it attractive to be in the forefront of developing new antibiotics. Drive AB suggested in a report (Revitalizing the antibiotic pipeline) in January 2018 a financial model composed of "push" incentives and "pull" incentives including market entry rewards of 1 billion USD. Ultupharma has been lucky in finding several new antibiotics active against both Gram-negative and Gram-positive multi-resistant bacteria, including carbapenem-resistant bacteria classified by WHO as Priority 1: critical, and colistin resistant bacterial strains. These inventions can rapidly result in new treatments saving many lives.